Nook Neighbourhood Coffee is a popular, recently established coffee shop based in the heart of Heaton Moor, Stockport. 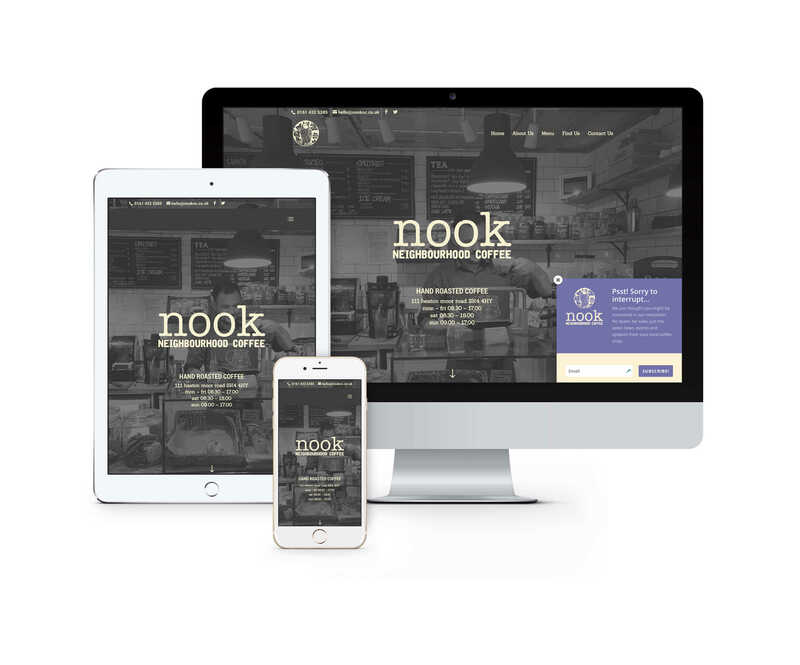 They wanted a trendy, modern responsive website that allowed people to view Menu’s, contact them and find the location on their phones and tablets. We also created a bespoke events sections which allows Nook NC to easily update the sites event’s section by simply creating an event via facebook.